Why would an ardent atheist care about translations of the Bible, and why would Christians be concerned with what an atheist would think? These are rather obvious questions, especially when the atheist is Christopher Hitchens, one of the most influential of the New Atheists. 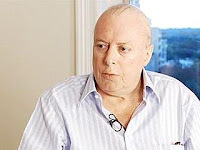 Nevertheless, Hitchens devoted his column in the May 2011 edition of Vanity Fair to the King James Version of the Bible, which celebrates its 400th anniversary this year. As always, Hitchens is interesting and provocative. He places the history of the Authorized Version (by which the British normally refer to the King James Version) in its political context in the early years of the Stuart dynasty and rightly explains that the interest of King James ! in the project was to “bind the majesty of the King to his devout people.” He then offers anecdotal observations of the KJV text, correctly attributing its tone and tenor to the earlier work of William Tyndale, as well as to the unusually gifted committee of translation. Hitchens is a man of letters, and as such he takes matters of language with urgent seriousness. He points to the King James Version as a crucial repository of our common civilizational knowledge. As he sees it, “A culture that does not possess this common store of image and allegory will be a perilously thin one.” It is very hard to argue with that warning. This doesn’t read at all like the outcome of a struggle to discern the essential meaning of what is perhaps our most numinous word. It more resembles a smiley-face Dale Carnegie reassurance. And, as with everything else that’s designed to be instant, modern, and “accessible,” it goes out of date (and out of time) faster than Wisconsin cheddar. Along the way, Hitchens takes legitimate shots at modern marketing efforts to commercialize the Bible and see some translation or edition to virtually every niche market. Of course, as an atheist, he expresses less sympathy with the Reformation conviction that the Bible should be available to everyone in the vernacular of the language. He does offer some interesting insights into the King James Version and the larger issue of Bible translation. His admonition that translations should not “rinse out the prose” is well stated and profoundly appropriate. Even an atheist can offer good advice on literary matters, and Hitchens is a writer of great ability. Since the article’s publication, several observers have noted Hitchens’ comments on faulty modern translations and gender-neutral approaches. His points are well worth noting. But the more interesting aspect of this article to note is this: Christopher Hitchens, one of the world’s most ardent and outspoken atheists, and a man in the fight for his life against cancer, is reading the Bible. This is at least the second article on the Bible that he has written of late. I note this with a sense of hope. I know you will join me in praying that, in reading the Bible, Mr. Hitchens will find more than he might be looking for. Rinse not the prose of its message.